Best floors and showers llc. Tile floors and wood floors. Custom tile showers. Specialty tile showers. All remodeling and construction. Marques Countertops has been servicing this industry since 1996, specializing in Solid Surface, Quartz, Granite, and Marble, in the commercial and residential markets. We utilize the latest technologies in CNC and waterjet tooling to ensure the best quality and accuracy available. If you can’t find it with us, chances are, it doesn’t exist! We are a locally owned and operated family business who offer Professional Quality Installation of Tile and Stone Floors, Walls, Designer Showers, Tub Surrounds, Counter tops, Fireplaces, Hardwood, Laminate. We install custom showers , tile and wood flooring,and any other project you might have with tile,marble,and wood. With 30 yrs. exp in the business we can make your dream project come true. Tymeless Flooring is a locally owned and family operated company since 1984. We provide services in southern Louisiana and Mississippi for new construction, remodel, residential and commercial applications. It is our goal to assist each client with individual consideration and provide the best installation possible. Tymeless Flooring has been a leader in quality installation in both residential and commercial projects which include: New Orleans Superdome, Delgado Community College, Slidell Memorial Hospital, Cross Gates Athletic Club, Ochsner Hospital, Stennis Space Center, Loyola University Monroe Hall, Aquarium of Americas Go Fish and Dive Zone, Dickey Brennan’s Taboo, and many area hotels, restaurants and retail outlets. 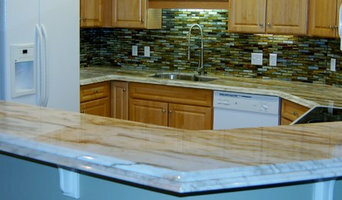 Pieri tile and marble provides homeowners and contractors, custom fabrication and installation of natural stone. We work with marble, granite, limestone, travertine and onyx just to name a few. The Pieri team has been providing New Orleanians with top quality material and expert installation for more than 40 years. We give free estimates on both the northshore and the southshore, so when planning your next remodel consider working with a local family run business that is the leader in the industry. Call or visit our show room today. 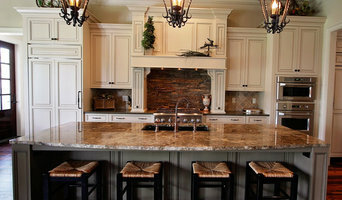 Unigran Stone is a distributor of granite and marble located in the Greater New Orleans Area. We take great pride in providing our clients with exceptional customer service. Our team abroad hand selects every natural stone we import to ensure the utmost quality for our customers. Come visit us today and let us help you with your natural stone needs. With over 4 years of experience with Granite, Marble, & Quartz, also heavy experienced with CNC machine and quality control of the material and designs with these gorgeous stones, I was granted the opportunity to work directly with customers and seek out new customers through sales. In addition, customers are my main focus because I am always eager to see their faces after the project is complete! This honestly bring me great satisfaction. I look forward to work with you and give you quality services in conjunction to quality products. custom build and remodeling showers, pools, stairs, all things home & pool. Our Commitment We welcome you to visit this on-line store, and hope you enjoy your time at Lopez Tile Depot. We have brand-name manufacturer ceramic tile designs in a variety of styles and colors that allow you to achieve the look you want for every project. Best of all, Lopez Tile's products are offered at affordable discounted prices everyday so you save big on your building or hours remodeling project. We offer the largest selection of top quality products at the lowest possible prices, and support the operation with superior customer service. We would also have to make our products and services available to customers everywhere, and the only way to accomplish that was via the internet. We the founders of Lopez Tile Depot started our internet flooring business more than fifteen years ago with the intention to serve our community and offer one of the best prices in town.